Family life? 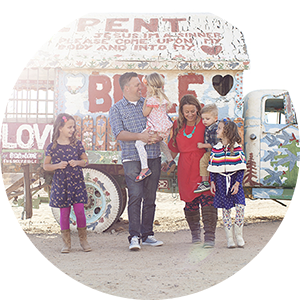 I have been married to Ross for almost 12 years, and we have two kids, Haley (11) and Davis (8). They are each other’s best friend and I am thankful for that every day! I hope that never changes. :) I married young, had a family young, and love every minute of it. A lot of my friends are just beginning their families, and I love that now I can enjoy their families now with such a different perspective." extradordinarily useful hand sewn goodness. A cute way to hold and pretty up your tissues. Return and tell me what you simply must have. Make googly eyes over her quilt along progress. 3. Send your Facebook friends this way. This week I want to do something new. Something that I feel passionate about. or who it is for. smiley face in the comment section. Found your site today as I was perusing cupcakes in a jar. I'm planning on making some for friends this coming week! I loved her A-line bags! I was actually looking into a bag that was not a purse or a diaper bag that both my baby and I could share. Thank you for showing me her site! I'll be sure to send people that way and add both yours and her sites to my list on my blog. Hi Ya! The id badge reel is crazy cute, but too bad i dont need to real in my badge. 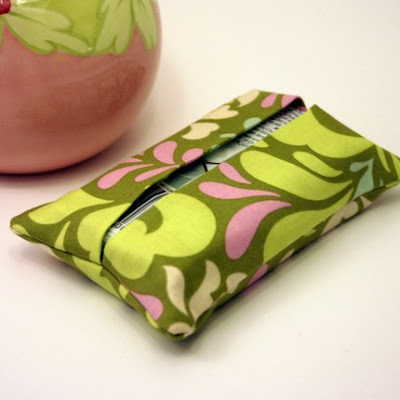 I do adore her wallets and tissue holders, i might just hav eto get both...love it all!!! I left her some comment love about her scrap fabric joy. I too share the joy of pretty fabric! I am in the market for a new wallet! 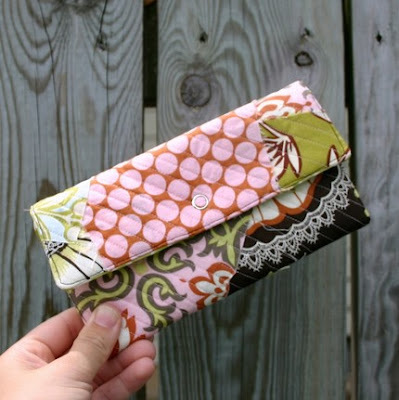 And the Trifold Wallet in Alexander Henry Kleo Fabric is just perfect! Eek! 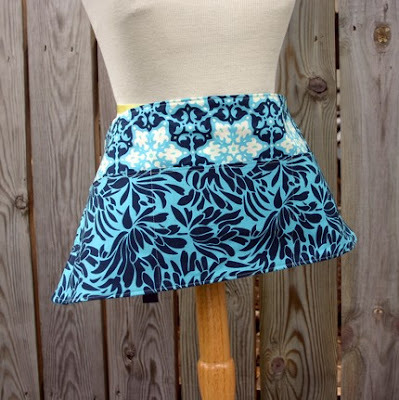 I am so super envious of anyone who can even thread their sewing machine! Whimsy is definitely being added to my Etsy favorites. I posted a comment over at A Window Into Whimsy! Hi! I left some love on her blog comments. Pretty quilt she's making!! The customized family tree is cool. How can you pick just one purse? I loved the tote with primary stripes. Holy crap! I love the family tree. I must have one. And give one to my mother in law. I love the Amy B Gothic Rose Trifold Wallet! I also left a comment on her recent find! 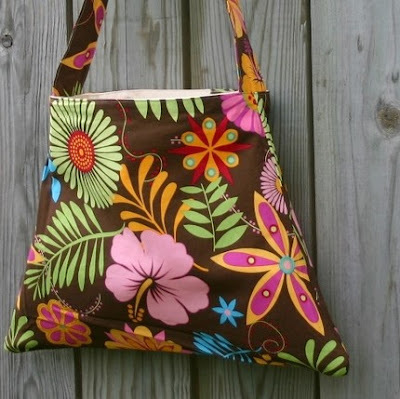 I love the market bag in Amy Butler fabric. I left her some comment love. definally the family tree... must have.. sooo cute! Left a comment of Window into Whimy's blog! What a fun site! I really like all of your homemade things! I really like the bag and the bright colors of the fabric. I actually have a few in my stash. I will add this to my frequented blogs! there you go! have a great weekend all! I blogged about the giveaway!!! Check it out! I love her different fabric choices. I love the a-line bags and keychains but deciding on the fabric could take me all day. So many great ones to choose from. Visited her shop! Love the pink tote with the poodles! Off to comment on her blog and add her to my follow list here too! Left her a comment on her sweet blog! Reversible A-line Purse in Pink Floral Pattern... but it was a hard decision. Cute with a capitol C shop! those zippered pouches are adorable! Love the wallets and the family tree- TOO cute! Left some comment love- what a cute blog too! I left some comment love on her blog, which is pretty great by the way! I like her key fobs! Karin rocks...love her, love her blog, love her items! She is an Etsy team member of mine and is just a DOLL!!! Karin is a wonderful friend I made through Etsy and local craft shows. Although her pictures are top notch, her creations are even more eye catching in person. I own a tote, a key fob, and one of her crafting aprons. It is unreal the amount of compliments I get on them. Whoever wins is going to have a hard time deciding!! Good luck! Boutique Purse in Mocca is my favorite! Boutique Purse in Mocca by Alexander Henry -Mid Size is my favorite. p.s. The family tree piece is beautiful! I love the family tree! What a beautiful keepsake! That badge reel almost makes me want to have a real job just so I can wear it!.....Almost. Not quite. But it is a great idea! I choose the black and white with red craft apron! Really nice and at a good price! Thanks! Left her some blog love. I LOVE her patchwork tote! It would be so nice to have this as an upgrade from my Son's black diaper bag I've used for the last year and a half! I left her some comment love about all of her awesome patchwork bags!! Amazing! I blogged about the great giveaway! The Boutique Purse in Mocca is nice!! I left her some comment love on her blog! You have officially been tweeted about as well! I simply must have this patchwork tote. Trifold Wallet in Alexander Henry Kleo!! LOOOOOOOVE IT! I did a good deed today. And you know what?? It felt great! You're an inspiration, thanks for all you do! I must have the patchwork bag in the farmer's market material, love it! I would love the Boutique Purse, Tote, Handbag in Stripes. We are going on vacation to the beach in August and I can just see myself with all of our beach accessories in it! I am a sucker for the Pear/Apple print, so the crafting apron is a must have! And I left her some blog lovin'! left her some love too! Facebook friends have now been alerted to come over and enter! love that! My favorite fabrics AND ribbon used, loveeee! Left her some comment loveee! Ooh, it is all so lovely! I really like the Boutique Purse in Mocca by Alexander Henry. And maybe a tissue holder to go with it? And the wristlets. They are all so sweet!! Love, love the Craft Show Apron in Apples and Pears! Thanks!! Another West Michigan girl, I love it! Just visited her booth at our artist's market last weekend! 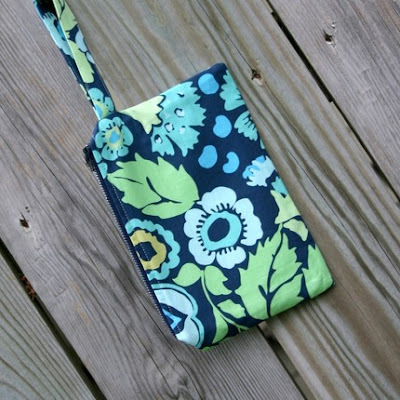 I love the tri-fold wallet in Alexander Henry Kleo fabric!!! I love the tri-fold wallets. I wouldn't want to put it in a purse, just carry the wallet around! I totally left her some comment love and she has left me some as well! What a sweet awesome gal! wallets... totes... the family tree... so much beautiful stuff! all these hand sewn beauties are so inspiring! left her a comment echoing the same! Wow, how to you choose. I love ALL the bags and really love the work apron too. She has fabulous things. Love them!! I visited her blog. Amazing. I love that you introduce us to such great people. Thanks! I love the wallets in her shop. They are so cute! :) My steps are done!! I made cupcakes for the daddy's at my husband's work for tomorrow. I like the Boutique Purse in Mocca - so cute! I love the Trifold Wallet in Grey with Green Dots! Super cute! I lefts some love on her blog! :-) I JUST DID!!!! I gave away my only cupcake. No, seriously...you have no idea how huge that is! LOL! I would love any of her bags, but I especially love the craft aprons. Left comment on her blog! Did something nice today, if you must know what it was, I found out I was pregnant after a bout with infertility! It can't get much nicer than than! Now I need all the free stuff I can get!